Children can learn with fun to write,drawing and read. Draw on slate with special pen, then simply pull handle out and the slate is clean to draw on again. Magnetic drawing is more fun in color! Draw, play, write over and over and just slide with the eraser knob to clear the screen and start your creativity again. 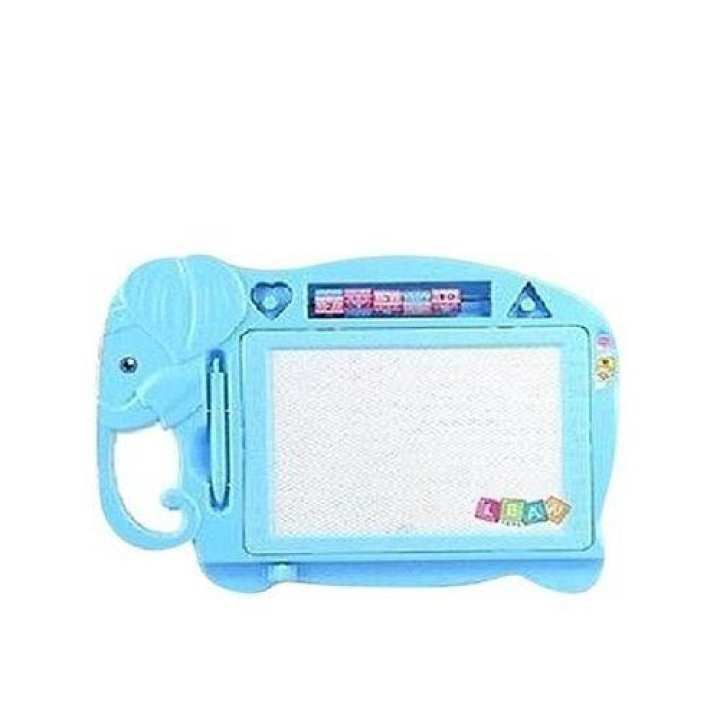 Perfect for play anywhere! The eye-catching, vivid, colorful pictures your children will create with this toy will blow your mind, not to mention making you want to have a turn. Kids will have hours of fun unleashing their creativity with the included three fun-design stamps. The easy-to-use magnet-tip stylus that comes with the board is just the right size for kid-sized hands—and don’t worry about them losing the stylus, because it’s connected to the board. Then, when they’ve filled up the page and it’s time for them to start their picture over, all they have to do is use the easy-slide knob eraser and they can pick up right where they left off.